Fast and simple internal access for cleaning and maintenance is an essential requirement in environments such as hospitals, schools, care homes and other public spaces. 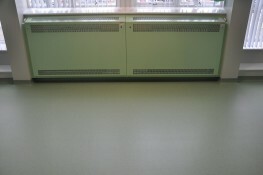 To make these regular processes more efficient, Contour Heating designed the DeepClean Radiator Cover. 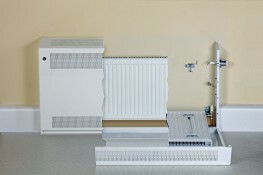 This particular model is a LST wall-mounted, square top radiator cover. 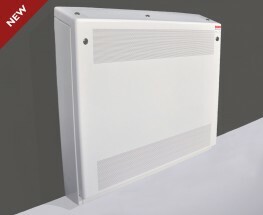 DeepClean radiator covers can be cleaned in five minutes by one operative, meaning that in the average working day, 1 person can clean 84 radiators. In the same time, two operatives could clean 14 radiator covers. DeepClean is the answer for saving cleaning time and costs.